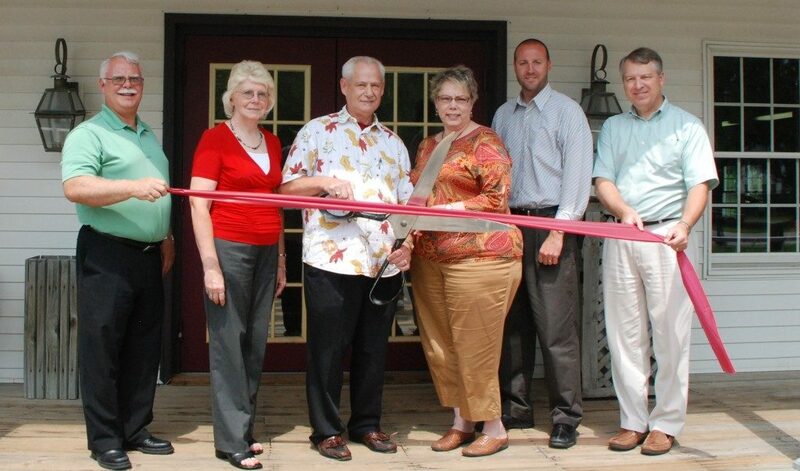 The Middlebury Chamber of Commerce was established in Middlebury, Indiana, in 2002. We are a collaborative organization, leading businesses and the community to achieve an environment ripe for growth and innovation. We offer leadership, advocacy, programs and resources, all aimed at creating a pro-business climate. We create and convene powerful partnerships that leverage the talents and resources of our member businesses. Everything the chamber does is to enhance the social and civic environment of Middlebury. DOWNLOAD our Guide to Membership. For more information on any of the resources covered in the Guide to Membership, contact Executive Director Sheri Howland at 574.825.4300, director@middleburyinchamber.com. Sixty-three percent of people are more likely to patronize a business that is member of their local chamber of commerce than a nonmember business. Show off your investment proudly with your member decal and use of the Chamber logo. Get maximum exposure for your business. Receive a listing in the Middlebury Chamber Online Membership Directory, with a link to your website. You can be included in as many as two directory categories at no charge. In fact, local chambers are the number one place people go to when searching for information on a community. Your company information is included on the membership roster, distributed to fellow member businesses upon request and available for purchase. As a new member, we’ll include your information in the Chamber section of inMiddlebury magazine (distributed to 10,200 mailboxes). If you have newsworthy items that you would like publicized, the Middlebury Chamber offers a variety of communication vehicles to promote your information, including inMiddlebury magazine, our e-newsletter and our social media networks. Numerous events on the calendar to connect with other member contacts throughout the year, including morning, lunch and after hours events. If you can’t make it to an event, participate in our social media communities. Like us on Facebook, follow us on Twitter and get involved in the Middlebury Chamber’s LinkedIn. The Chamber refers exclusively to member businesses. The online directory ranks in the top five most-viewed pages on our website. We track referrals from web visits, phone calls and office visits, and can provide you with a referral summary at any time. Let us help you celebrate your new business or new location. We will publicize your grand opening in our e-newsletter and website, invite the Ambassador team and bring along our official “grand opening” oversized scissors. Photos will be taken and provided to you for your use. We’ll also use the photos in our various communication pieces, as appropriate. Legacy members represent a higher level of membership and include those companies with the desire to be among the top leaders in the business community. Gold, silver and bronze levels are available. Contact Sheri Howland at 574.825.4300, director@middleburyinchamber.com for more information and benefits. Gain more exposure for your company while helping the Chamber at the same time. Become an Ambassador or member of one of our committees. Ambassadors are a group of volunteer liaisons that help to further the mission of the Chamber by making routine contact with other members and volunteering at Chamber events. More details on the Ambassador and application information can be found on the website.